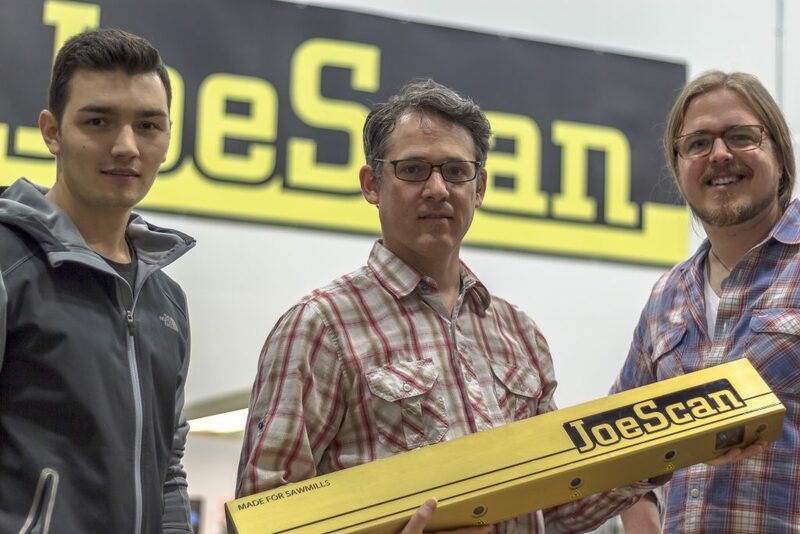 April 18, 2018 - JoeScan, Inc., a market leader in 3D laser scanning technology for the sawmill industry, has announced the hiring of two new employees. Brad Michael has taken over for outgoing marketing manager Christy Green and Vadim Kovalev has re-joined the team as a mechanical engineer and media production specialist. The two will work closely with the rest of the JoeScan team to design, test, and market new products, and to produce videos and other digital content. Kovalev is making a return to the company, after serving as an engineering intern while pursuing his degree at Washington State University, then as a full-time product development engineer working on JoeScan’s X6B laser scanner. After exploring options for greater exposure in the sawmill optimization industry, he founded his own media production company Kovalev Films that specializes in video services. Michael joins JoeScan after beginning his career managing advanced R&D projects for aerospace and defense contractor Lockheed Martin, and later freelancing as a web designer and digital marketing consultant. He brings expertise in a wide variety of technical and creative skills, including writing, photography, and social media management and strategy. JoeScan has big plans for 2018, and Kovalev and Michael stand to feature prominently in all of them. Follow JoeScan on their social media channels or sign up for their mailing list to get a firsthand look at the changes these new hires will bring.